My name is Colt Black. The rebel. I&apos;ve been eyeing on quite a few girls now. But, what caught my attention was Thalia, Thalia Grace. 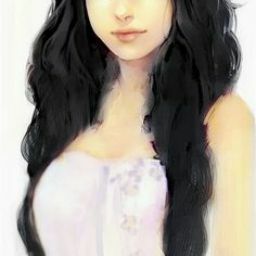 She was pretty but, whenever a boy asks her out she refuses. No doubt, waiting for me to sweep her off her feet. "Leave her alone!" she snapped at Tiffany, the school&apos;s meanest cheerleader. Tiffany glared. But Thalia glared right back. Tiffany squeaked and backed away. "If she ever bullies you again," Thalia said, looking at Meryda straight in the eye. "I&apos;m right here." "H-hey, Thalia." A guy greeted. "You wanna go on a date or something?" "No, sorry." Thalia said not looking sorry at all. I walked up to Thalia. "You, Me, My place." I said to her with a wink. "Nope." She said and smiled sweetly which looked like she didn&apos;t do it often. "Oh, I see." I started. "Your place." I gave a bright smile. I went to go to my next class. "What?" Thalia asked. "No goodbye kiss?" I smiled and leaned down. I caught Thalia give a wink to the other guy who asked her out before me but I dismissed the thought. As I was about to kiss her I felt a sharp pang in my face. I felt blood trickle down my nose. I looked down and saw Thalia glaring daggers at me. "That is what you get for asking me out," She said coldly. My best friend, Jonah escorted me to the Clinic. "Thalia happened." I said. " Learn from me. Never and I mean NEVER ask her out." That&apos;s how I met Thalia...Well not really met but how I learned that girls are dangerous especially if they refuse to go out with any boy and ask for a goodbye kiss. Beware! I&apos;m not good with writing boys POVs so...sorry. Thanks for all your votes. I appreciate it. 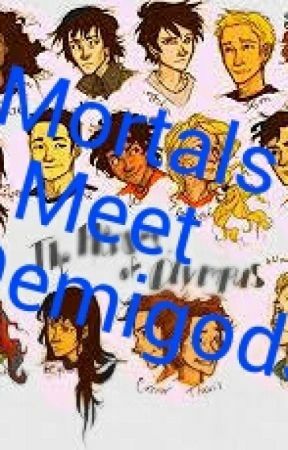 Please comment below on which demigod I should do next. Should I reveal them or not?